"These organizations can tremendously enhance your career and provide real opportunities. Their resources and information offer ideas and insights about where you may want to go in commercial real estate,” said Ken McIntyre, interim executive director of Project REAP (Real Estate Associate Program), introducing representatives from several of the largest international and national real estate organizations at REAP NYC 2018 Trade Association night held on May 1 in New York City. The evening is one of the signature events offered students, alumni and board members of REAP, a nationwide initiative that has increased diversity and inclusion in commercial real estate (CRE) through education, mentorship and networking for the past 20 years. Rosemarie Subasic, director of facilities, Hines, membership committee chair of BOMA, noted that the association represents close to 650 million sq. ft. of space and supports almost 100,000 jobs. “Every real estate company in NYC belongs to BOMA,” said Subasic. Saying, “the more you put into the organization, the more you get out of it,” she outlined benefits including advocacy and support, information and networking, and educational programs. Categories of membership include emerging leaders for young professionals. Tim Dahl, a corporate real estate professional and account executive with Mohawk Group represented CoreNet Global, which spans 50 nations worldwide and is focused on owning and operating real estate for major U.S. corporations. He told the audience that CoreNet offers “massive networking” for targeted groups including women and young leaders and provides various educational programs and certifications. Kendrick Harris, Esq., Harris Law Group, and a director of C.U.R.E., Council of Urban Real Estate, explained that the organization was founded in 1990 by persons including REAP Chairman G. Lamont Blackstone to advance professional and leadership development for persons of color. Harris explained that “real estate is all about relationship building within a working environment” and noted that C.U.R.E. is “like a cousin” to REAP. Stephen Taylor, director, volunteer services, ICSC (International Council of Shopping Centers), spoke about the organization that has 70,000 members worldwide and a vast focus that provides 150+ programs including scholarships, advocacy and education, all needed in a world that demands versatility and “the well-rounded professional.” He explained ICSC's Partners in Diversity initiative and other paths that see an “opportunity to change the look of the industry,” calling REAP “the premier pool of diverse talent in the nation.” Taylor urged all to attend the upcoming RECon (Global Retail Real Estate Convention) in Las Vegas where 850,000 sq. ft. of space will open opportunities for 37,000 attendees. Tiffany Greenidge, marketing account executive, Empire Realty Trust, president-elect, NAIOP, the Commercial Real Estate Development Association, now the secretary, told the group that NAIOP has 18,000 members and 51 chapters throughout North America. It offers courses, conferences, webinars and certification programs as well as a legislative agenda. National Forums offer case studies to small, select groups in a more intimate setting. NAIOP offers REAP students a free one-year membership. McIntyre noted that the ULI (Urban Land Institute) also supports REAP and has numerous programs and offers a year's membership gratis to REAP students upon graduation. Participants unanimously gave the event two thumbs up. 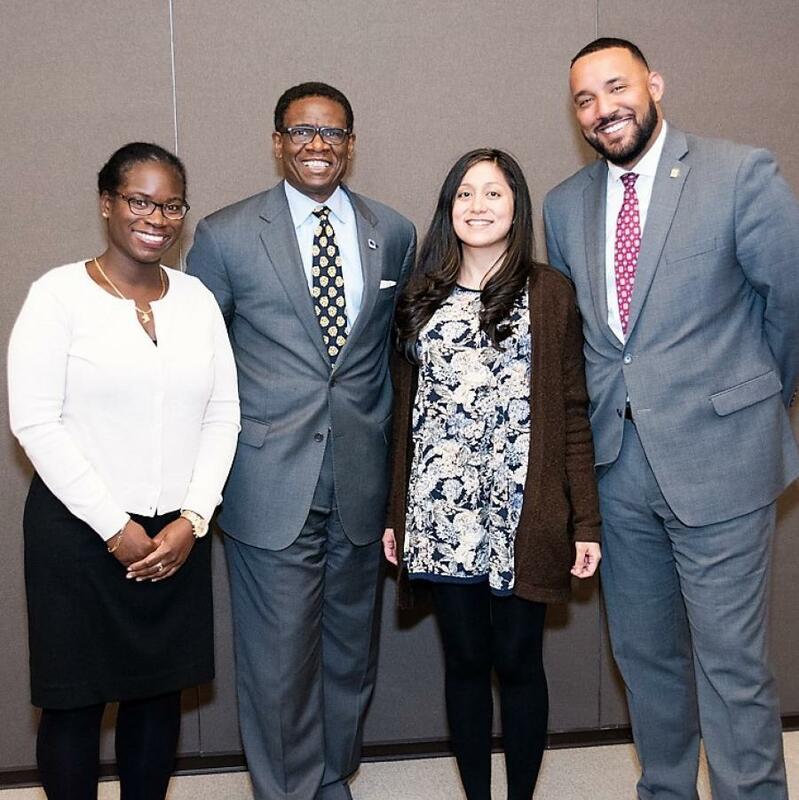 Pierre Streat, an alum, REAP NYC '17, principal, Bimarsan Properties LLC, said, “The networking alone is amazing,” and spoke of deals and job opportunities he's gained through his association with REAP.